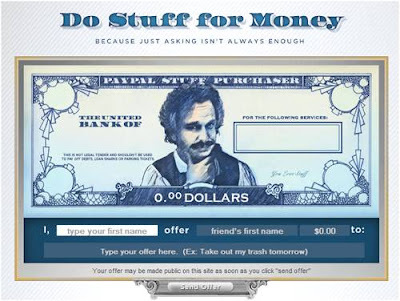 An interesting service launched by Paypal known as “Do Stuff for Money”! “Because Just Asking Isn’t Always Enough”! 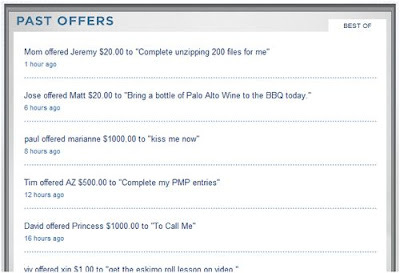 This service allows Paypal user to send offers each other in the way of money. The receiver can then choose to accept or deny the offer. This service is planned to be a fun way to dig up your friends and families to do things especially for money. Those offers are displayed online for public viewing. Start it today, at least sends some prank offers to others.